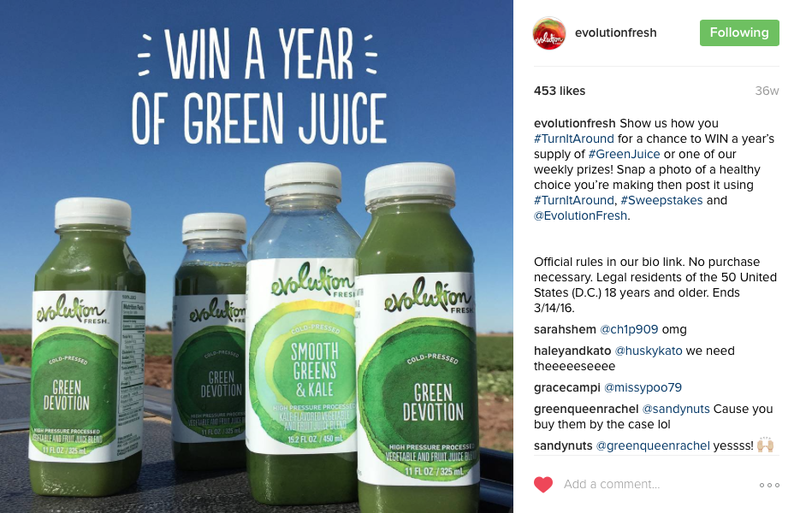 To differentiate Evolution Fresh green juice from brands like Naked or Bolthouse Farms, I realized they were the ONLY brand in the category that actually had a 'green' as their first ingredient. So we educated consumers on that superiority because. for Evolution Fresh, the small print says it all, and that made a BIG difference. We supported that big idea with digital media, print, shopper apps, interactive in-store signage and an educational website experience. But the invention of a hugely successful national holiday, Post-mates launch event and #TurnItAround sweepstakes, really made it work hard. We created National Green juice day and delivered free juice, via Postmates in several major cities (most of which sold out in hours). Organic coverage of the holiday took hold across the health and wellness space, including some of our competitors. Activated across the powerhouse social channels Instagram, Twitter and Facebook.